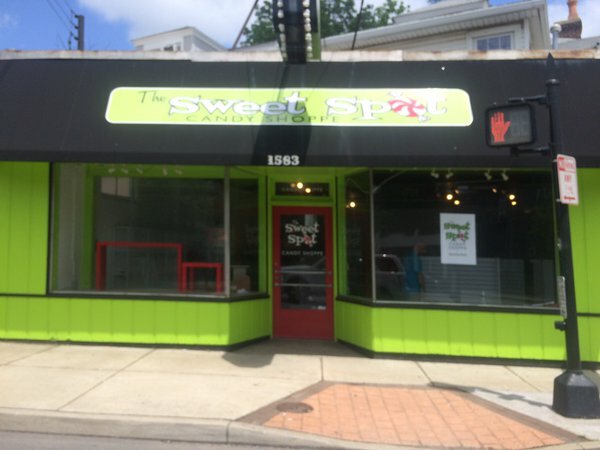 With its brightly-painted chartreuse storefront, it is hard to miss The Sweet Spot Candy Shoppe, a new business that has opened at 1583 Bardstown Rd., the former site of WHY Louisville. Owners David Carney and Brian Wigginton gutted the building and refit the interior for their purposes. The Sweet Spot will sell 120 to 130 varieties of candy in bulk bins, as well as candy-related novelty items, gourmet chocolates and vintage candies that can’t be found in a regular store. They also hope to rent the space for children’s parties, and to pitch their idea for a candy buffet at weddings or other events. Previous articleWild Dog Rose Tea Shop opens on Bardstown Rd.